“This shatters the old record low of 28 degrees set back in 1916,” the National Weather Service tweeted of Wednesday’s weather. Tuesday night just before midnight, the city hit 28 degrees, breaking the previous record of 29 set in 1907, records show. Typically, November temperatures are significantly warmer. The average high for the month is about 71 degrees and the normal low is 51 degrees. San Antonio’s average low this year has been comparable to other years, but its average high, a cool 66.6 degrees, has been lower than normal. An incredible sight danced over the cities glistening skyscrapers of Houston this morning and likely caused many to rub their eyes and shake their heads. No, it wasn’t your lying eyes but rather the earliest snowfall ever observed in the city of Houston and surrounding areas. It’s official, according to the National Weather Service, that Houston has recorded it’s earliest snowfall ever observed — and not just by a day or two but by 10 days! The previous earliest trace snow was November 23rd, 1979. It isn’t supposed to snow in mid-November in Texas. 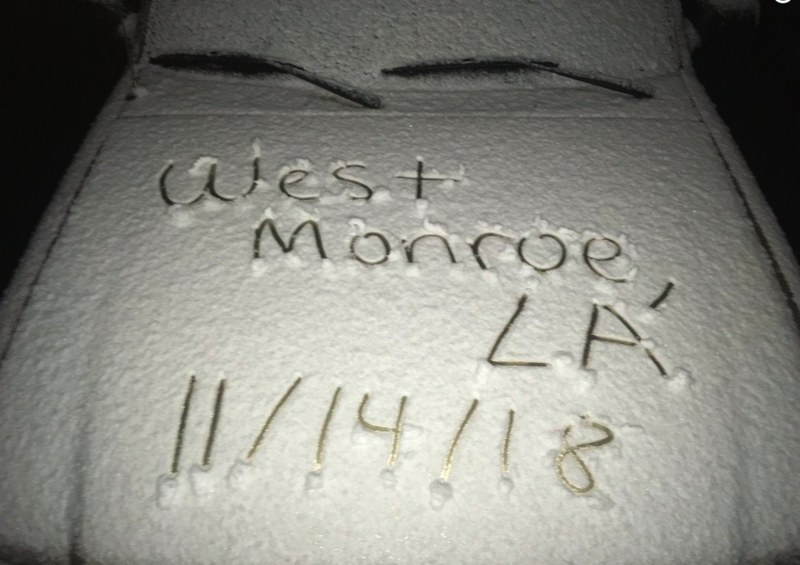 Louisiana got snow too. On Twitter, one resident of West Monroe posted a photo of snow blanketing his vehicle on Wednesday morning, and it quickly went viral. Something very usual is happening, but the mainstream media doesn’t want to talk about it because it doesn’t fit the narratives that they are pushing. A winter storm that’s already responsible for 2 deaths will bring a messy mix of snow, sleet and freezing rain to portions of the central and eastern U.S. over the next two days. Power outages, travel headaches and school closings are all likely as the storm strengthens. Over 80 million people live where some level of a winter storm alert is in effect, all the way from Arkansas to Maine over a distance of about 1,500 miles. Yes, everyone knew that we were headed toward a solar minimum eventually, but solar activity was not supposed to drop off this much so soon. Scientists say Earth’s atmosphere is about to get hit by some record cold – but it’s not because of anything caused by humans. It’s because of a lack of sunspots which means a major decrease in ultraviolet waves coming in our direction. Dr. Tony Philipps of SpaceWeatherArchive.com says there have been practically no sunspots in 2018, and that’s causing earth’s upper atmosphere to cool down and even shrink. So I hope that you are ready for a very chilly winter. The Maunder Minimum, also known as the “prolonged sunspot minimum”, is the name used for the period around 1645 to 1715 during which sunspots became exceedingly rare, as was then noted by solar observers. This week, the North Korean government called record-high temperatures in the country “an unprecedented natural disaster” and said that country was working together to fight the problem. Crews battling deadly Northern California wildfires prepare for another day of hot and dry conditions that could drive the flames into new areas and threaten more homes. According to Cal Fire, more than 15,000 personnel are on the lines of 18 large blazes across California on Saturday. So far, the fires since June have killed 8, burned more than 559,000 acres and damaged or destroyed over 1,800 structures. Roughly 17,000 homes continue to be threatened by these fires, and about 45,000 residents are under evacuation. Ultimately, this may turn out to be the worst year for wildfires that California has ever seen. On Thursday, NWS researcher combed through the wreckage left behind and determined a fire whirl — commonly known as a fire tornado — roared through the area between 7:30 p.m and 8 p.m. on July 26th. It was packing 143 mph winds, turning heavy-duty high tension power line towers into twisted pieces of metal, uprooting trees and ripping the bark off other trees. When I first heard about this fire tornado, I was absolutely stunned. Elsewhere in the Southwest, drought continues to intensify, and this is starting to produce absolutely enormous dust storms. A huge wall of dust enveloped the Phoenix metro area on Thursday in the second monsoon storm in a four-day span. Officials at Phoenix Sky Harbor International Airport said flights were delayed or held until visibility improved. National Weather Service (NWS) meteorologists said blowing dust in the Phoenix area brought near-zero visibility for drivers Thursday evening. Certainly a dust storm is less destructive than a “fire tornado” in the short-term, but as we saw in the 1930s, a consistent pattern of giant dust storms can absolutely cripple a nation. And let us not forget all of the shaking that has been happening to the crust of our planet. The death toll rose to 82 after a magnitude 7.0 earthquake rocked the Indonesian island of Lombok and on nearby Bali on Sunday, damaging buildings, sending terrified residents and tourists running into the streets and triggering a brief tsunami warning. Social media posts from the scene showed debris piled on streets and sidewalks. Hospital patients, many still in their beds, were rolled out onto streets as a safeguard against structural damage to the hospital buildings. Yes, the amount of carbon dioxide in the air is increasing, and it has been increasing for a very long time. Ultimately, the amount that humans contribute to the overall level of carbon dioxide in the atmosphere is marginal, and even if we took the most extreme measures possible there is very little that we could do to significantly affect the balance. And scientists assure us that our planet once had much, much higher levels of carbon dioxide in the atmosphere in the air then we do today, and our planet appeared to have thrived under those conditions. But the narrative won’t change. The mainstream media will continue to tell us that the Earth changes that we are witnessing are due to global warming and that if we reverse course that we can go back to how things were before. No, we can’t go back, because the changes that are happening are way outside of our control. Fundamental changes are happening to our planet, and this is just the beginning. For now these Earth changes are a minor nuisance to a lot of people, but pretty soon nobody will be able to ignore them. 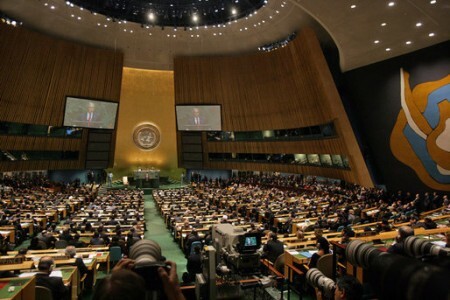 The UN plans to launch a brand new plan for managing the entire globe at the Sustainable Development Summit that it will be hosting from September 25th to September 27th. Some of the biggest names on the planet, including Pope Francis, will be speaking at this summit. This new sustainable agenda focuses on climate change of course, but it also specifically addresses topics such as economics, agriculture, education and gender equality. For those wishing to expand the scope of “global governance”, sustainable development is the perfect umbrella because just about all human activity affects the environment in some way. The phrase “for the good of the planet” can be used as an excuse to micromanage virtually every aspect of our lives. So for those that are concerned about the growing power of the United Nations, this summit in September is something to keep an eye on. Never before have I seen such an effort to promote a UN summit on the environment, and this new sustainable development agenda is literally a framework for managing the entire globe. The United Nations is now in the process of defining Sustainable Development Goals as part a new sustainable development agenda that must finish the job and leave no one behind. This agenda, to be launched at the Sustainable Development Summit in September 2015, is currently being discussed at the UN General Assembly, where Member States and civil society are making contributions to the agenda. The process of arriving at the post 2015 development agenda is Member State-led with broad participation from Major Groups and other civil society stakeholders. There have been numerous inputs to the agenda, notably a set of Sustainable Development Goals proposed by an open working group of the General Assembly, the report of an intergovernmental committee of experts on sustainable development financing, General Assembly dialogues on technology facilitation and many others. It truly covers just about every realm of human activity. Another thing that makes this new sustainable development agenda different is the unprecedented support that it is getting from the Vatican and from Pope Francis himself. His Holiness Pope Francis will visit the UN on 25 September 2015, and give an address to the UN General Assembly immediately ahead of the official opening of the UN Summit for the adoption of the post-2015 development agenda. On 28 April, the Secretary-General met with His Holiness Pope Francis at the Vatican and later addressed senior religious leaders, along with the Presidents of Italy and Ecuador, Nobel laureates and leading scientists on climate change and sustainable development. The mere fact that a meeting took place between the religious and scientific communities on climate change was itself newsworthy. That it took place at the Vatican, was hosted by the Pontifical Academy of Sciences, and featured the Secretary-General as the keynote speaker was all the more striking. The much-anticipated environmental encyclical that Pope Francis plans to issue this summer is already being translated into the world’s major languages from the Latin final draft, so there’s no more tweaking to be done, several people close to the process have told me in recent weeks. Under this Pope, the Vatican has become much more political than it was before, and sustainable development has become the Vatican’s number one political issue. And did you notice the language about “the world’s religions acting in unison”? Clearly, the Vatican believes that it has the power to mobilize religious leaders all over the planet and have them work together to achieve the “UN’s sustainable development goals”. I can never remember a time when the United Nations and the largest religious institution on the planet, the Catholic Church, have worked together so closely. So what will the end result of all this be? Should we be concerned about this new sustainable development agenda? Never one to to allow a “good crisis” to go to waste, Barack Obama is pledging to use the BP oil spill in the Gulf of Mexico as an opportunity to push the U.S. Congress to pass his controversial climate bill. In fact, during a recent interview Obama directly compared the current crisis in the Gulf to 9/11, and indicated that he believed that it would fundamentally change the way that we all look at energy issues from now on. 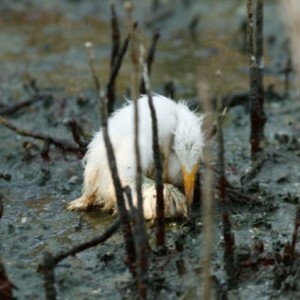 But the truth is that Obama’s climate bill is the same economy killing legislation that it was before the BP oil spill. It would still drive gas and electricity prices through the roof, it would still cause large numbers of U.S. businesses to flee overseas, it would still be one of the biggest tax increases in U.S. history and it would still usher in an unprecedented era of climate fascism. But now thanks to the BP oil spill there is suddenly a lot more momentum in Congress for doing something about energy and about “climate change”. Of course the truth is that carbon dioxide is not causing climate change and high levels of carbon dioxide are actually very good for the environment, but reducing carbon emissions has almost become a religion for radical environmentalists, and Barack Obama is absolutely determined to push through his “cap and trade” carbon trading scheme. In fact, just as 9/11 completely changed the war that Americans viewed the fight against terrorism, Barack Obama sees the oil spill in the Gulf of Mexico fundamentally changing the way that Americans see energy issues. During a recent interview, Obama told Politico columnist Roger Simon the following…. Not only that, but Obama considers it one of his greatest “leadership challenges” to make sure that we all “draw the right lessons” from the BP oil spill…. So what are those “right lessons”? Well, apparently what we are all supposed to get out of this disaster are the lessons that Obama has been trying to “teach” us all along – that carbon taxes and cap and trade schemes are good for us. But Barack Obama is not the only one urging us to learn the “right lessons” from the BP oil spill. In a recent interview with ABC News, Microsoft’s Bill Gates also linked the oil spill in the Gulf of Mexico with “climate change”. Gates warned that if we don’t make the necessary changes soon that we will suffer severe consequences…. But would the climate bill that Obama is pushing really save us from “climate change”? But Barack Obama’s climate change bill would do the following things…. *It would drive gas and electricity prices through the roof. *It would crush the already fragile U.S. economy by piling a bunch of new taxes and regulations on U.S. businesses. Needless to say, large numbers of them would begin looking for greener pastures. *It would increase worldwide pollution by forcing companies out of the U.S. and into nations that have no restrictions on pollution whatsoever. *When you add up all of the overt and hidden taxes in the bill, it would represent one of the biggest tax increases in U.S. history. 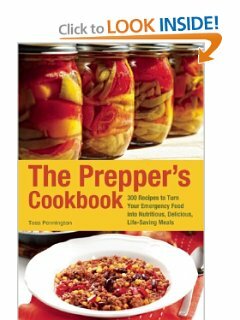 *Since every action we take involves the production of carbon emissions (including every breath that we take), it would open the door for an era of tyrannical climate fascism where the U.S. government literally monitors every aspect of our lives to make sure that we are being “eco-friendly”. But Barack Obama makes this climate bill sound like it is the greatest thing since sliced bread. In fact, he continues to promise that the number of “green jobs” gained by this bill will far outweigh the number of other jobs lost. In fact, other countries that have tried a “cap and trade” scheme have experienced disastrous results. For example, a leaked internal assessment produced by the government of Spain reveals that the “green economy” there has been an absolute economic nightmare for that nation. Energy prices have skyrocketed in Spain and the new “green economy” in that nation has actually lost more than two jobs for every job that it has created. The unemployment rate in Spain is now hovering around 20 percent and the economy there is on the verge of complete and total collapse. In fact, if the government of Spain does end up defaulting on their debts, it could make the financial crisis that has been unfolding in Greece look like a Sunday picnic. It should be obvious to anyone with a brain that a climate bill like the one Spain implemented will devastate the U.S. economy. But facts haven’t gotten in the way of Barack Obama pushing his agenda before, so why should they now? However, it is not just Barack Obama that is pushing an agenda of trying to radically reduce carbon emissions. All over the world, many of the global elite have joined forces with the radical environmentalists in an effort to “save the world” from the growing “threat” of carbon dioxide. And since each person on this planet is a source of constant carbon emissions, many of those who truly believe in this radical environmental agenda consider the rapidly growing population of the earth to be the number one cause of climate change. You see, to those obsessed with “climate change”, just getting corporations around the globe to radically cut carbon emissions is not nearly going to be good enough. The truth is that they know that in order to get carbon emissions down to where they want them to be, they are going to have to do something about the growing world population. To them, in the “war against climate change” anyone who breathes is the enemy. In fact, according to an official UN report, no human can ever truly be “carbon neutral”. So please understand that for those obsessed with climate change, “carbon taxes” and “cap and trade” are just the beginning. To truly achieve their goals, “one child policies” and “forced abortions” will also be necessary. So if Barack Obama does get his climate bill pushed through Congress and it does kill the U.S. economy, that would only be a “first step” for those truly dedicated to the radical environmental agenda. What they have planned down the road is a whole lot more horrific.